CHINA OVERSEAS PORTS HOLDING COMPANY PAKISTAN (PVT.) LTD. 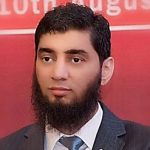 Since 2005, Aamir has been associated with the Logistics & Maritime sector, a seasoned marketing professional with a career span of around fifteen (15) years, having worked in the Gulf Region, UK (United Kingdom), Europe & Pakistan. He has a proven track record in Marketing, Research & Business Development, Key Account Management, Customer Relationship Management and Logistics Operations. He has gained in-depth knowledge through an industry-specific ‘EMBA in Logistics & Port Management’, which is an addition to his core studies, i.e. ‘MBA in Marketing’. He has also worked in world-renowned companies such as American President Line (APL – A New York Stock Exchange listed company), Al Futtaim Group – UAE (Middle East’s largest group of companies), SARGENTS Logistics Solutions UK and Pakistan International Container Terminal (PICT – A Leading Seaport of the country). His professional track record is an evidence of his expertise in planning & developing strong Marketing and Promotional strategies especially for newly established Businesses, such as the establishment of ‘Containerized Trade at Gwadar Port’ and the commercial development of ‘3rd Party Logistics facility (3PL) in Jebel Ali South Zone Area (UAE)’ from the grass root level. He has also proposed a comprehensive Business Plans to the Top Management of COPHC for establishing various industries in Gwadar Free Zone. Moreover, he has also conducted Business Research Studies on numerous Industrial Segments to attract FDI (Foreign Direct Investment) for the establishment of various potential businesses in Pakistan. With his vast knowledge and extensive research over the billion dollar projects of CPEC (China-Pakistan Economic Corridor), he has successfully delivered various presentations on the significance of CPEC and Gwadar at National / International platforms. Possessing excellent communication & interpersonal skillset, he is always willing to have discussion with industry Stalwarts to cultivate strong network and to explore new ideas and opportunities.